The Lower Otter Restoration Project is at a very early stage, considering a managed realignment scheme where the River Otter meets the sea at Budleigh Salterton. Visit our Resources & downloads page, or click the image above, to read our handy guide which gives an overview of the Lower Otter Restoration Project. The Lower Otter Restoration Project is investigating whether there is a more sustainable way of managing the Otter Estuary and its immediate surroundings by working with, rather than against, nature. project will not proceed without substantial support. The cost of the project is estimated to be £5m to £12m, dependent on its eventual scale and scope. The Lower Otter Estuary is a very special place. It is home to local people and businesses. It provides habitat for a wide variety of breeding and wintering bird species, and it is enjoyed by tens of thousands of visitors each year. But this coastal community, like many others, faces growing challenges due to climate change. As the oceans warm up, they take up more space and sea levels rise. We are also seeing more extreme storms and rainfall events which increase the intensity and erosional power of rivers and the sea. 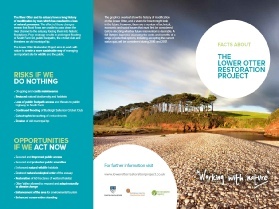 The Lower Otter Restoration Project wants to work with local people and partner organisations to explore how we can preserve and improve the downstream part of the River Otter, its estuary, and its immediate surroundings for future generations in the face of a rapidly changing climate. 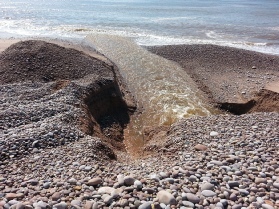 We are examining the possibility, both practically and financially, of a managed realignment scheme where the River Otter meets the sea near Budleigh Salterton in East Devon. The project is being considered because the existing 200-year-old sea defences are now starting to fail and are becoming increasingly hard to maintain. This has the potential to impact on public infrastructure, local businesses and homes, and recreational facilities. The project is still in an early phase and is looking for funding to progress. 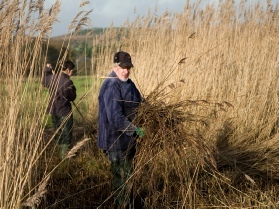 The major partners in the Lower Otter Restoration Project include Clinton Devon Estates, who own the land around the estuary, and the Environment Agency, the government body which has responsibility for improving resilience to climate change, flood defence, increasing biodiversity and improving habitats and water quality. 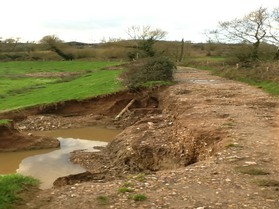 Find out more about the challenges facing the Lower Otter Estuary, managed realignment and the timeline for this project. We’ve put together a handy factsheet on the project. If you’d like to receive emails to let you know about important project updates, please click here. To contact the Lower Otter Restoration Project, or to email a member of the project Stakeholder Group, click here. The Environment Agency has confirmed its commitment to the Lower Otter Restoration Project.